This updated edition of the only book on homing the ex-racer gives prospective adopters information everything from care and feeding to the latest about the activities and competitions that are just for ex-racers and their owners. 64 photos & illustrations. 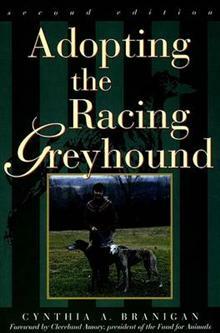 This revised and updated edition of the only book on homing the ex-racer tells prospective adopters everything they need to know to make adoption a success. In addition to practical information, such as care and feeding, readers learn the latest about the activities and competitions that are just for ex-racers and their owners. The Appendix lists all the agencies nationwide that adopt out Greyhounds, so an agency is sure to be nearby. For thousands of years Greyhounds have been bred to hunt and run at top speed. Because they are used to being with other dogs and people, they make perfect pets. Adopters can be assured their ex-racer will get along with adults and children and other household pets. Cynthia A. Branigan is a freelance writer and president of Make Peace With Animals, an animal protection group. Among the group's special missions are Greyhound rescue and placement. From her home in Pennsylvania, she travels to give lectures and radio and television interviews on adopting racing Greyhounds and the humane treatment of all animals. 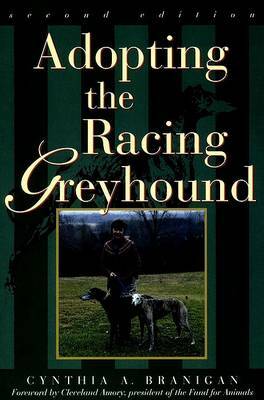 She is the author of The Reign of the Greyhound: A Popular History of the Oldest Family of Dogs, her DWAA Maxwell award-winning book, also published by Howell Book House.